We have two large retail & trade supply outlets in the southern suburbs of Adelaide. 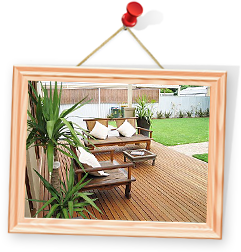 Both stores have an extensive range of timber and building supplies to suit both the DIY customer and the professional builder. Flinders Mitre 10 Timber and Hardware is a family owned and operated business and has been servicing the DIY and trade market since 1979. Having a fleet of company owned and operated delivery vehicles delivering throughout the metropolitan Adelaide and greater SA ensure your delievery is there when you need. At Flinders Timber and Building Supplies we have more than 60 staff on hand, many of whom come from a trade background, with skills ranging from quantity estimating, truss fabrication and detailing, carpentry, cabinet making, as well as painting and rendering. We have an extensive product range; with over 20,000 products in stock and our trade buying power we will provide you with the right product for the job at a competitive price, delivered with good old fashioned service! We have solutions for all your timber needs including timber selection, timber frame design, bracing and tie downs all complete with layouts and bill of quantities. Our technical team will guide you through our extensive range of timber and building supplies and ensure all your needs are met. Our company owned vehicles and professional drivers will ensure your timber is there when you need it, delivering through-out Adelaide and the greater SA. Our prefab plant is a “One Stop Shop”. We design and manufacture wall frames, floor and roof trusses all in-house. We pride ourselves on our layouts and documentation. Our quality and service is second to none.